Biography: Burns was born in Burlington Vermont in 1820 and moved to Buffalo when he was 16. 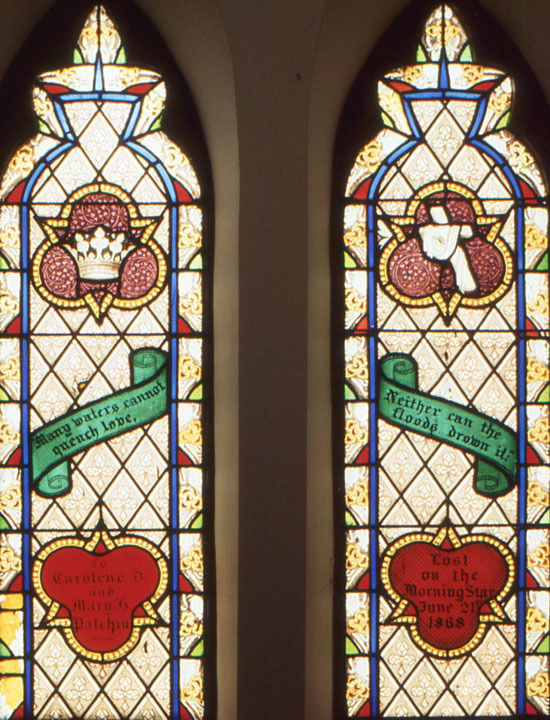 After working for Buffalo Stained Glass Works he opened his own studio in 1851. He marketed heavily in the Great Lakes region and Episcopal publications in the late 1850s. With the Civil War he focused on just the Episcopal publications and New York State. Burns had a stroke in 1870 that effectively ended his career.